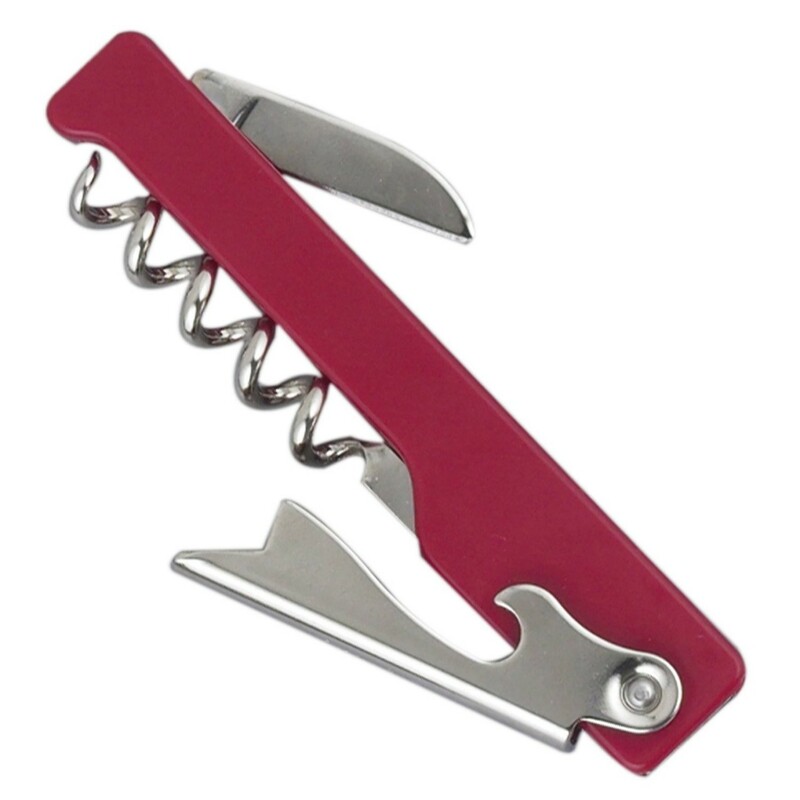 The waiter's corkscrew is truly one of the most popular corkscrews for waiters and bartenders for a good reason. A waiter's corkscrew is compact, efficient and contains, all in one unit, all the tools that are needed to easily and effectively open wine bottles. Ghidini's Waiter's Corkscrew has an all metal construction and features a worm, leverage bar and foil cutter knife. Have it all in a single, compact unit with Ghidini's Waiter's Corkscrew. Made in Italy by Ghidini - Europe's premier corkscrew manufacturer. Click the button below to add the Ghidini Waiter's Corkscrew red to your wish list.